정조는 生父인 사도세자의 묘소를 수원 화산으로 천봉하고 화성을 새롭게 건설하면서 대규모 둔전의 설치를 통한 농업의 발달과 신해통공을 비롯한 경제개혁 작업을 통해 신도시의 경제를 안정화시켰다. 그리고 장용영의 창설과 확대는 이러한 개혁정치를 뒷받침하는 군사적인 배경이 될 수 있었다. 앞서 살펴 본 장용영의 군사사 및 무예사적 특성을 종합해보면, 먼저, 도성 중심의 중앙군 뿐만 아니라 그 동안 허설화되었던 지방 속오군까지도 통합적으로 관리하기 위하여 표준화시킨 것. 두 번째로, 기동력이 우수한 기병에 대해 전술적 우위를 확보하기 위하여 기병단독 진법의 보급과 마상무예의 실전성 강화하였는다는 것. 세 번째로는 화성 방어력의 증강을 위해 주변 지역의 군사자원을 한데 묶어 거점방어 전술체제가 가능한 형태로 변화시킨 것. 네 번째로는 성곽방어를 위해 대구경 화포의 배치와 더불어 조총과 궁시 및 다양한 단병접전용 무기들이 배치되면서 보다 안정적인 수성전이 가능했다는 것. 마지막으로 夜操를 비롯한 다양한 군사훈련에 백성들과 함께 참여하여 방어력을 확보할 수 있었다는 것이다. 이처럼 정조대 화성방어체제 확립과 장용영의 창설은 단순히 정조의 친위 군사세력의 확대로 그치는 것이 아니라, 조선군 전체의 표준화된 전술체제와 무예의 확립을 이뤄낸 군사 개혁적 성격이 강하였다. 그리고 정조대 이뤄낸 다양한 문화적 융성의 모습도 군사적 안정화가 있었기에 가능한 일이었음을 확인하였다. King Jeongjo moved his father Sadoseja(Prince Sado)’s tomb to mt.Hwasan in Suwon and built Hwaseong fortress and stabilized new city’s economy by development of agriculture with the farm cultivated by stationary troops and economical reformation with a Shinhae-Tonggong(辛亥通共,1791) prohibiting monopolistic market. 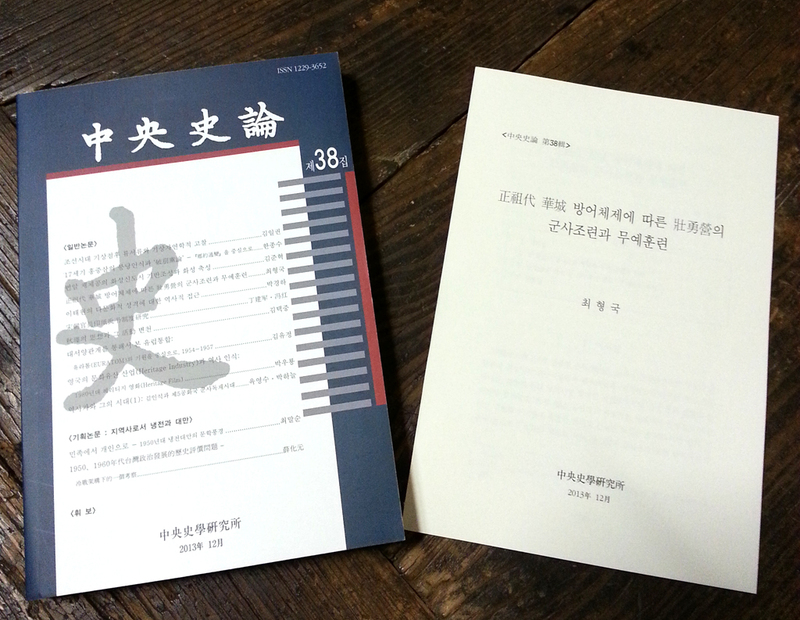 Establishing and expanding of Jang Yong Young guards was become a military background to support reformative politics. To sum up the characteristics of Jang Yong Young’s military and martial art history, Firstly, not only centralized army troops in capital city but also titular local troops were standardized to control. Secondly, to predominate over tactics of cavalrymen, battle formation only for cavalry and mounted martial arts for actual battle were reinforced. Thirdly, to strengthen defensive power of Hwaseong fortress, military resources at surrounding areas were combined and become a form of strongpoint defense. Fourthly, to protect the fortress, large-caliber guns and weapons for close fight were set to increase possibility for stable win from battle. Lastly, defensive power was secured with people and various military drills. Establishment of defense system for Hwaseong fortress and Jang Yong Young guards during King Jeongjo’s reign could not be simply referred as expanding of King Jeongjo’s royal bodyguards. However it was more likely military reformative characteristics with standardized strategy system for entire Joseon army and establishment of martial arts. Many cultural prosperity aspects during King Jeongjo’s reign were possible because of stabilized military system. **중앙사학연구소에서 발행하는 <중앙사론>은 한국연구재단 등재지입니다.